It is widely cited that between 1840 and 1930, nearly one million French-Canadians emigrated to the United States. Our Despatie family, which had lived in Quebec for 250 years, was among these emigrants when they left the suburbs of Montreal to settle in Northeastern Connecticut in the early 1890s. Several main factors pushed this southern migration, including poverty and debt, overpopulation, and infertile farmland. Many scholars point to an unsustainable population growth in Quebec Province in the 19th century which led its largely agricultural workforce into subsistence farming. With a short growing season, many farmers were unable to make ends meet and became dependent on loans they would never be able to repay. In the meantime, the post-Civil War United States was in the midst of rapid industrialization, particular in the New England states. Particularly cotton and textile mills began to pop up in Massachusetts, New Hampshire, Rhode Island, and Connecticut offering a significant pull to many French Canadians at that time. The emergence of a railroad system linking Quebec to New England meant an easier means of exploring the new economic opportunities provided by the mills. Another significant factor was that these jobs in the mills did not usually require any type of formal skills or education and many employed women and children, meaning that several family members (not just the father/husband) could be employed at the same time. 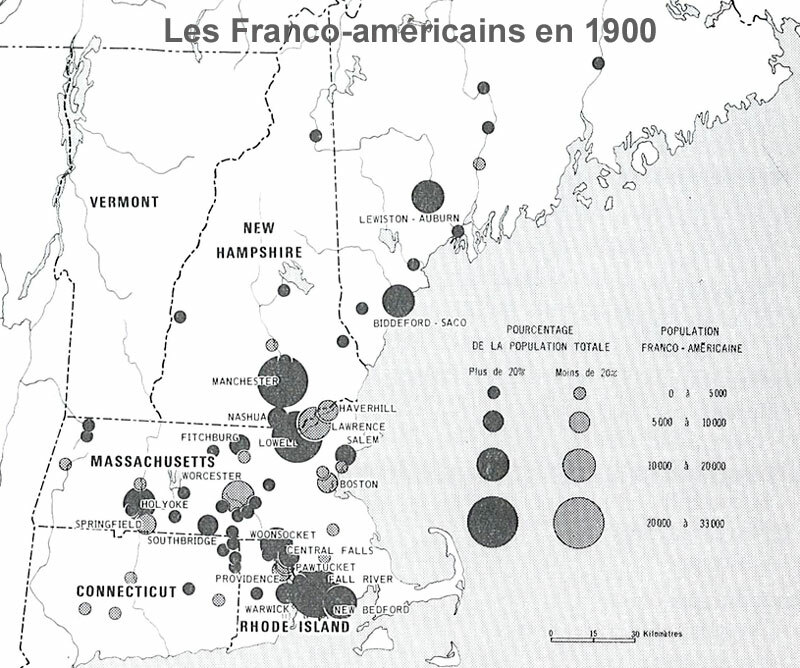 By 1900, more than 500,000 French Canadians had emigrated to New England, with nearly half settling in Massachusetts. While Connecticut received less than 10 percent of these immigrants, those that did settle in the state left a lasting impression. Our Despatie family, led by Antoine Despatie, emigrated with several of his children to Wauregan, Connecticut (15 miles south of the Massachusetts/Connecticut border and five miles from the Rhode Island/Connecticut border) around 1890. Antoine had been a farmer in Granby, Quebec just southeast of Montreal and likely had experienced many of the issues outlined above – subsistence farming, poverty, and debt – before deciding that the lure of New England’s factories would lead to a better life for his family. Indeed, once in the mill town of Wauregan, he and several of his children worked in the cotton and textile mills. Wauregan, like many other mill towns in New England at the time, became inundated with French Canadians, who voluntarily segregated themselves within these communities to maintain their distinct culture. As New England was still largely made up of English-descendant Protestants, French Canadian immigrants held closely to their French language and Roman Catholicism, and the Catholic Churches became the focal points in these new communities. 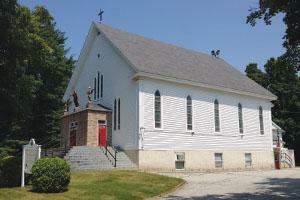 In Wauregan, the Sacred Heart Parish was built in 1870 to serve the burgeoning French Canadian population in the region and remained the center of the growing Catholic population for a century. 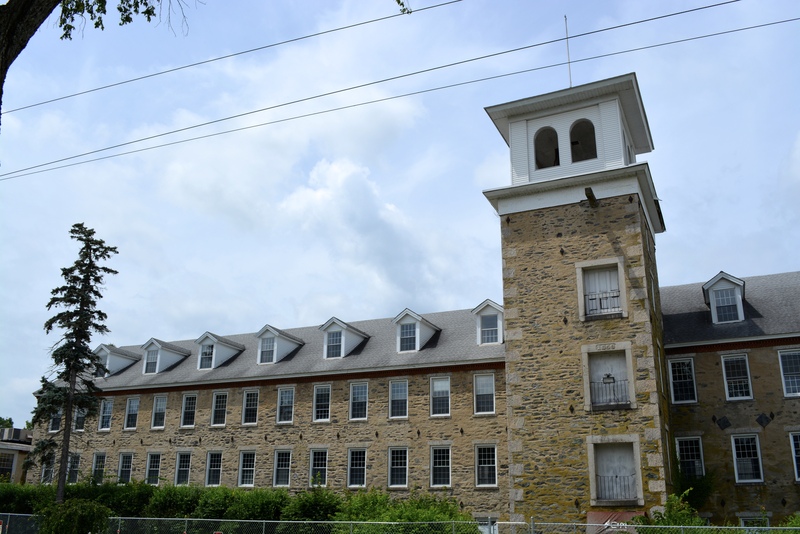 Wauregan’s fortunes were entirely tied to the cotton mill. Following World War II, the mill began a period of decline, partially the result of cheaper labor in the southern United States, free trade policies and a couple of hurricanes in 1955, which led to large scale flooding that destroyed portions of the mill. By 1970, the Wauregan mill had ceased operations entirely and its assets were sold. Many Franco-American families at that time had lived or three generations in the United States, and the soci0-cultural bonds that had kept them together – work in the mills, the French language, and the Catholic religion had begun to fade. Today the descendants of these original immigrants are fully assimilated Americans, who speak English as a first language and who have scattered to pursue opportunities outside of New England throughout the rest of the United States. However, their legacy survives and is a source of pride for the more than eight million Americans who claim French Canadian descent in the United States today.